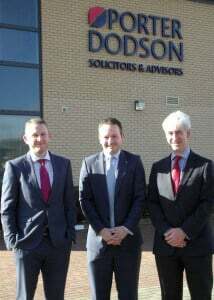 Ben Hingley has been appointed as Associate in the Commercial Property team of Top 200 UK law firm Porter Dodson LLP. Ben joined the Commercial Property team as Assistant Solicitor in 2008 after successfully completing a two year training contract with the Firm. He advises on all aspects of commercial property law, dealing with both landowners and developers, and also guiding clients through the process of letting commercial property. He also specialises in renewable energy, in particular solar farms, and has delivered a number of seminars on this business sector and actively supports clients in getting projects implemented. Ben has built up his own impressive client base as well as maintaining strong relationships with longstanding clients of the firm.